It’s Constitution Day. Well, it’s celebrated today anyway… or celebrated to the extent that we’d have to pay holiday pay to the store clerk, so I’ll be flogging the slightly used and one-owner paperbacks today. All to honor Venustiano Carranza’s reluctant approval (5 February 1917) of the radically secular worker’s state Constitution which the last several administrations, in the spirit of Carranza, has been doing their darndest to undermine. Under the indulgent regime of Porfirio Dìaz, whose second wife, Carmen Romero Rubio was ostentatiously pious, and guided by particularly gifted clerics like Archbishop Josè Mora y Del Rio, the Catholic Church — if no longer officially the state religion — continued to exert an inordinate, if unofficial, weight in state affairs. The new Constitution sought to protect the State from the Church. 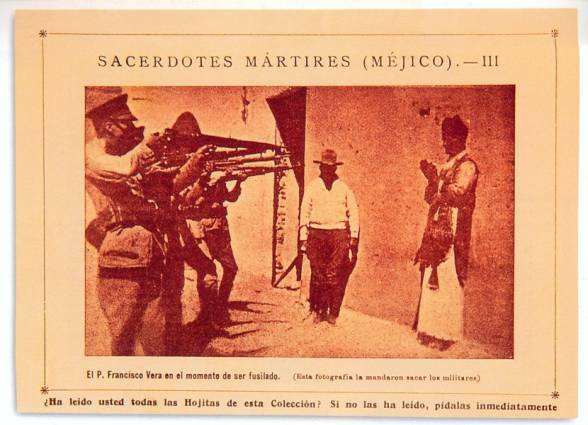 To clerics like Mora y Del Rio, and to anti-Revolutionaries, it appeared more that the Church needed protection from the State. The new restrictions, especially on political activity, were even more restrictive on the clergy than those in the previous 1857 Constitution, which not only had severed the connection between Church and State, but had sought to deprive the Church of its economic power and influence. Carranza, an old-fashioned cattle baron, was only President mostly because every faction in the Revolution agreed on one thing… they despised him. While, like most late 19th century liberals, he was an old fashioned anti-clerical, the last thing Carranza needed was a fight with the Catholic Church. At the national level, Carranza was willing to bend the rules in the Church’s favor. State officials, which tended to come from those revolutionary factions seeking to dislodge Carranza and much more zealous to implement a social revolution as well as a political one, were seen by Carranza as much more an immediate problem than the clergy. 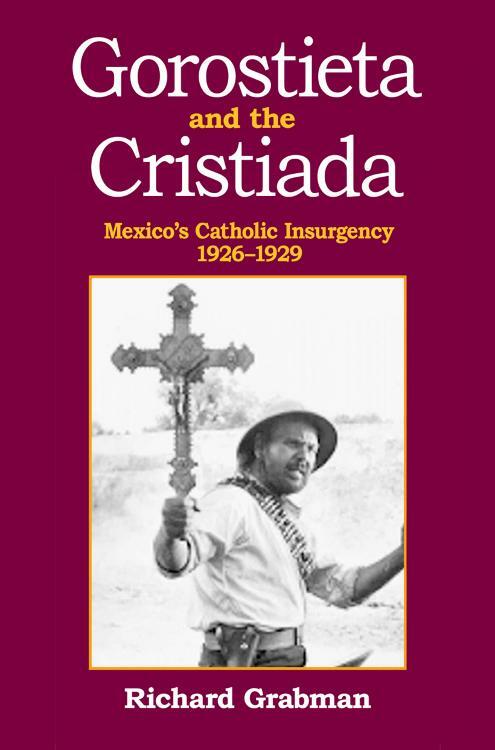 With the “neo-liberal” PRI of the 1980s and 90s having less and less interest in remaking Mexican society, and the Catholic Church having gone through a renewal in the 1960s, in the 1990s, the Constitutional restrictions on religious activity were relaxed. Denominations could, for the first time since the 1850s, directly own property (as long as it was for religious activities), clerics were allowed to vote, and the more galling restrictions (especially to the Catholic Church) on wearing clerical garb in public, or holding religious services outside of the designated place of worship, were rescinded. Remaining are prohibitions on religious education in public schools and against denominational participation in political affairs. Minor restrictions on non-religious activities by denominations (private schools, hospitals, charities, etc.) remain, but since the 1930s, there has been a work-around that allowed for private foundations or societies though which the denominations indirectly can influence public discourse. And, of course, the clergy — especially the Roman Catholic clergy — have mastered the art of indirectly making their wishes know about political candidates and issues through sermons, religious publications and, at times, street demonstrations passed off as religious processions. The Roman Catholic Church is still the most powerful and most influential of the denominations… and the most vociferous in claiming the remaining restrictions are discriminatory. None of the non-Catholic denominations are wealthy enough, or large enough to have much influence over more than local affairs. As it is, most of the other denominations see the clerical restrictions as protecting them from the Catholic Church, rather than the state. 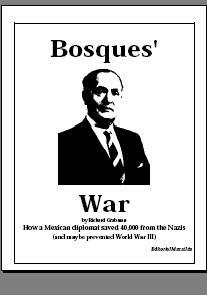 And, the second largest Mexican denomination, the Jehovah’s’ Witnesses, avoid politics altogether for theological reasons. It is not at all surprising then, that the only real support for attempts to further change the Constitutional restrictions on religious activity, came from the Catholic Church. PAN, having begun as a clerical, anti-Revolutionary Party, introduced legislation to do away with the remaining restrictions. With PRI presidential candidate Enrique Peña Nieto trying mightily to capture the “piety vote” … going so far as to make an unprecedented (for the leader of what is, in theory, an anti-clerical party) call on the Pope to bless his secular marriage (and, of course, get in a photo op with the #1 Catholic)… PRI delegates in the Chamber of Deputies joined with PAN, enough to send the bill to the Senate. Where it promptly died last week, so we can celebrate having at least some of what we celebrate today left intact. On Wednesday, Institutional Revolutionary Party (PRI) and Democratic Revolutionary Party (PRD) senators shot down proposed reforms to Article 24 of the Constitution, arguing that the amendments, which concern freedom of religion, were unnecessary duds, and not a priority for the Mexican people. PRI spokesman Carlos Jimenéz Macías said that the majority of his party opposed the modifications to the Constitution, as Mexico already guarantees full freedom of religion. He added that these untimely proposals had only polarized religious minorities. Pablo Gómez Alvarez, a PRD senator, agreed that the reform was trivial, considering that religious groups have been able to practice freely since 1857, when state religion was abolished. thanks for this. Informative. I have to read more it seems.